Extreme weather and other crises linked to climate change will have a profound impact on our mental health. For months after Hurricane Sandy sent nearly six feet of water surging into her home in Long Beach, New York – an oceanfront city along Long Island’s south shore – retired art teacher Marcia Bard Isman woke up many mornings feeling anxious and nauseated. She had headaches, and inexplicable bouts of sadness. She found herself crying for no apparent reason. What Isman is experiencing is one of the little-recognized consequences of climate change, the mental anguish experienced by survivors in the aftermath of extreme and sometimes violent weather and other natural disasters. The emotional toll of global warming is expected to become a crisis that many mental health experts warn could prove far more serious than its physical and environmental effects. A report released in 2012 by the National Wildlife Federation’s Climate Education Program and the Robert Wood Johnson Foundation predicted a steep rise in mental and social disorders resulting from climate change-related events in the coming years, including depression and anxiety, post-traumatic stress disorder, substance abuse, suicide and widespread outbreaks of violence. 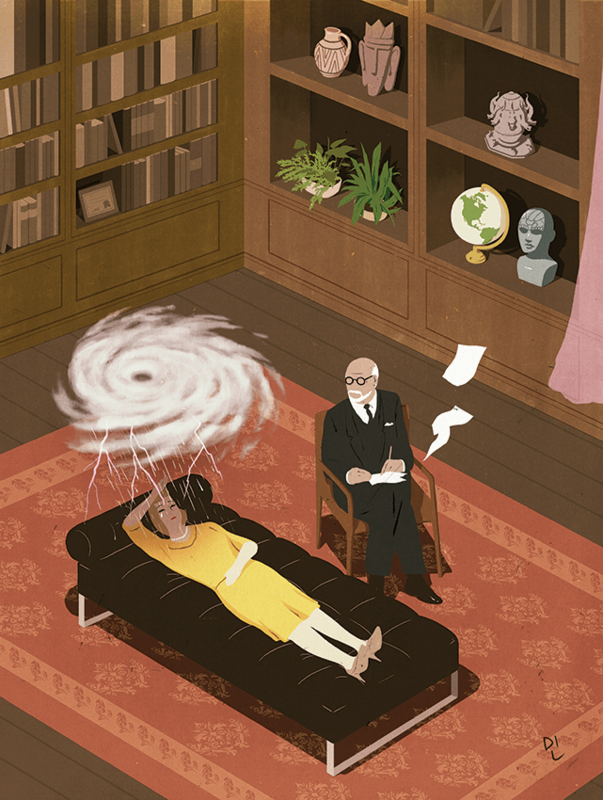 Moreover, it estimated that more than 200 million North Americans will be exposed to serious psychological distress from climate-related events in the coming years, and that counsellors, trauma specialists and first responders currently are ill-equipped to cope. “The physical toll has been studied, but the psychological impacts of climate change have not been addressed,” said Lise Van Susteren, a forensic psychiatrist and one of the report’s authors. “We must not forget that people who are physically affected by climate change will also be suffering from the emotional fallout of what has happened to them. Others suffer emotionally from a distance, especially those who are most keenly aware of the perils we face, or, as in the case of children, those who feel especially vulnerable. And the psychological damage is not only over what is happening now, but what is likely going to happen in the future. “This kind of anticipatory anxiety is especially crippling and is increasingly being seen among climate activists – in some cases rising to the level of a kind of ‘pre-traumatic’ stress disorder,” she added. Moreover, society can expect to experience a collective sense of sadness, anger and defeat as it confronts the inevitable, and possibly irreversible, long-term environmental effects of global warming, and the failure to prevent them, according to Van Susteren. “We are undoing millions of years of evolution, and the situation is a catastrophe,” she said. “Climate activists on the front lines are desperate to convey this to the public, but are told to be wary of paralyzing people with fear. Compounding the issue is that people often generally are not good at knowing they are anxious, or, if they do, often don’t know why. The report emphasized that certain populations face greater risk than others, including the elderly, the poor, members of the military, people with pre-existing mental health disorders, and especially children. The report compared what children may be feeling today to the distress suffered by American and Russian children over the threat of the nuclear bomb in the 1950s during the Cold War era, saying that climate change could have the same destructive impact. “Some children are already anxious about global warming and begin to obsess, understandably, about the future, unmoved by the small reassurances adults may attempt to put forth,” the report said. It recommended that the federal government draft a plan to enact a large-scale response to the mental health effects of global warming, including public education campaigns, increased training for mental health professionals, and developing mental health incident response teams. Despite the nation’s experiences with previous natural disasters, “the scientific data show that what lies ahead will be bigger, more frequent, and more extreme than we have ever known,” prompting potentially dire mental health impacts, the report warned. Isman certainly would agree. “Initially, I was numb, running on adrenaline,” she said. “There was a delayed reaction. I didn’t realize what was going on with me emotionally.” Yet, as bad as it was for Isman, it was far worse for others. Nearly 300 people died because of Hurricane Sandy, and many lost their homes permanently. It’s not just about extreme weather and disasters. Ashlee Cunsolo Willox, assistant professor of community health at Cape Breton University in Sydney, Nova Scotia, has found that rising temperatures linked to climate change in Canada’s north and its impact on ice conditions and snow levels is causing emotional distress for residents of aboriginal communities. The Inuit of Newfoundland and Labrador’s Nunatsiavut region, for example, usually get around by snowmobile, but more prolonged periods of unusually thin ice is making it increasingly difficult to hunt and make trips for supplies. Feeling trapped and detached from the surrounding natural environment, more are experiencing anxiety and depression, according to Willox’s research. Members of PsySR worry that continued inaction on climate change will only bring more of the same. The group recently wrote to U.S. Congress, urging lawmakers to address climate change to avoid a mental health catastrophe. “Without such action, the impact of heat waves, extreme storms and floods, droughts and water shortages, food production problems, lessened air quality, sea level rise, and displacement from homes and communities is likely to pose significant mental health challenges to millions of Americans and billions of others worldwide,” the psychologists wrote in their letter. Meanwhile, if the world’s nations do not contend aggressively with the dangers posed by a warming planet, “we will have to deal with the reality that we are living in unpredictable, unstable and volatile times when it comes to climate change,” said Laurie Nadel, a psychotherapist who started a support group after Hurricane Sandy. “When I talk to people in other countries who’ve been living with natural disasters their whole lives, they don’t expect the phones to always work, and they understand that people may not show up on time because a tree might have fallen on the road. They accept that emergencies are part of life and out of their control.